Welcome back to the Human Division Listen-A-Long. 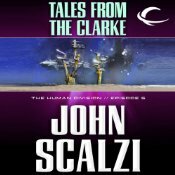 This week, we dive into Tales from the Clarke, the fifth episode in John Scalzi’s new serial novel. Be warned, spoilers abide in the post below, so if you haven’t listened yet, feel free to catch up to us once you have. We’re not going anywhere. We start off Captain Sophia Colonna, she who put her ship in front of a missile to save an alien diplomatic ship, at her resulting inquiry. No good deed and all that. Her ship (what’s left of it, at least) is taken from her. Colonels Egan and Rigney (hello, shady CDF officers!) give her the “opportunity” to do a job for them – show off a 50 year-old classic of a spaceship to a group of earthlings interested in purchasing it. If she can pull off the job, Rigney tells her she’ll be able to have her choice assignment. Problem is, this hunk of junk makes the Millennium Falcon look like the Enterprise. Her engineer is worried the things going to blow up before they’re able to skip off, so they need to do repairs, and all that, in less time than they’d like. They get ’em done, ’cause that’s how the B-Team rolls. Harry and Colonna force a confrontation with the earthlings, and they find out it was all a set-up – the earthlings were part of a scheme to smoke out a spy – and apparently it worked to some degree, because the spy planted a bomb. No, they don’t know who the spy is yet, but they have more information. Since Colonna did such a good job on this one, she gets a new ship…er, a 50 year-old one, to be precise. She christens it the Clarke. To some degree, this is what I was expecting from the episodic serial Scalzi’s penned – we get to see things from another of the B-Team’s perspective (Colonna’s), which was pretty cool. It didn’t quite have the energy/excitement of episode 3, or the dark hilarity of episode 4, and so I didn’t love it quite as much as I did those two episodes. I admit, I’m also kind of bummed that Harry just showed up, freed from his hostage situation off-screen. Perhaps this is something we’re coming back to in another episode soon, I hope? Time will tell. The overall mystery continues, and I find myself doubting my earlier suspicions that Egan is the turncoat. So the question is, who planted the bomb? The same people that planted the missiles for the Utche? Yes. Is that the same organization that had Birnbaum assassinated? That…doesn’t quite make sense. Maybe Egan is playing that side, while someone else is playing against the CDF? But who? Which, for me, kind of sums up this episode. It happened, and I enjoyed it, but it felt pretty standard. Part of that is because it seemingly shrugged off the tension of We Only Need the Heads, and I’m hoping we get back to that point in the story and hear more about it in the future. Those are my thoughts. What’d you all think? 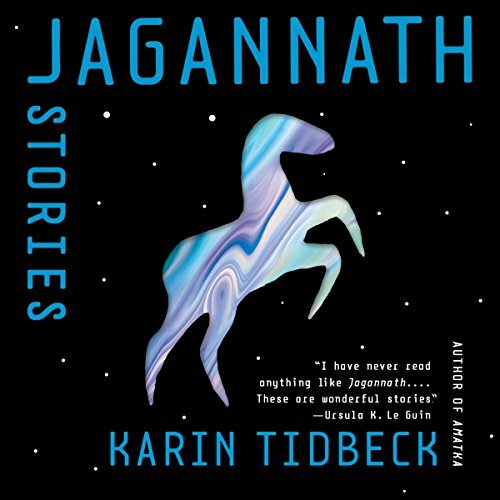 This entry was posted in The Human Division Listen-a-Long, Uncategorized. Bookmark the permalink.